Is it all about location, location, location when it comes to selling houses? Location, location, location is everything when selling a home or is it? What are the other determining factors that could make a property worth more? According to the Homes and Property magazine there are 14 different aspects which could potentially boost the value of a London home, they say that it’s much more than about size in square feet, or location. Proximity to open spaces can add up to 20% to a home’s value, especially if it’s located in London or in a built up area. Living in a quiet street will also add around 15% to a property, as road noise can be very off putting for some buyers. Technology is also high on the list (including a high speed broadband connection) – especially with top-end properties, buyers will expect the latest gismos and appliances, boosting the price by around 8%. Home-buyers are much more energy conscious with rising energy costs and with the aid of the EPC rating they can quickly determine whether a home will be energy efficient or not – making a home with a good rating more desirable. Although the square footage of a home might not be the top priority for buyers, the feel of space is very important, a home with good proportions and high ceilings will help to make it feel larger. Commuters and London buyers will also be looking for a property located near to a train or tube station. If you are looking for a home with all of these aspects then Goodfellows Carshalton has this lovely house for sale agreed - situated at the end of a quiet cul-de-sac in a very popular Carshalton area, this double fronted three bedroom detached property offers good sized family accommodation. Featuring a double aspect living room, separate dining room, fitted kitchen, utility area and downstairs WC, three bedrooms with built-in wardrobes and en-suite to master; the property also offers a lovely private rear garden, off street parking and a garage. 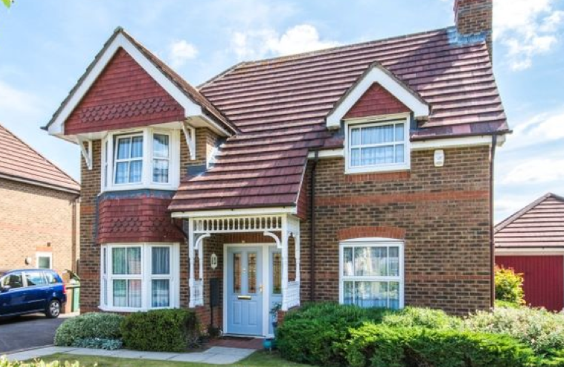 It is also ideally located within walking distance of Carshalton Beeches station and close to schools, local shops, transport links and amenities. For more information on similar properties for sale please contact Goodfellows Carshalton Beeches on 020 8773 2424.